Tuesday, May 9th, 2017 at 3:35pm. 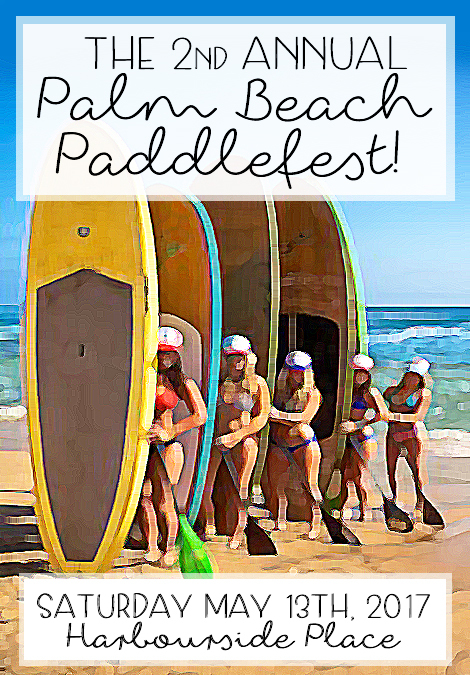 Bring all of your friends and family out for a day of free, family-friendly fun in the sun at the 2nd Annual Palm Beach Paddlefest. This Saturday, May 13th from 9am until 5pm at Harbourside Place in Jupiter is the fun packed event. Paddlefest 2017 will be offering a ton of different, adventurous games and races for people of all ages. There will be paddle boarding races, paddle boarding relays, water demos and so much more to partake in. a number of different local food and drink vendors will be offering delicious dishes and tasty drinks for everyone. Live music will be filling the air along with the sounds of laughter and fun for this year’s Paddlefest.